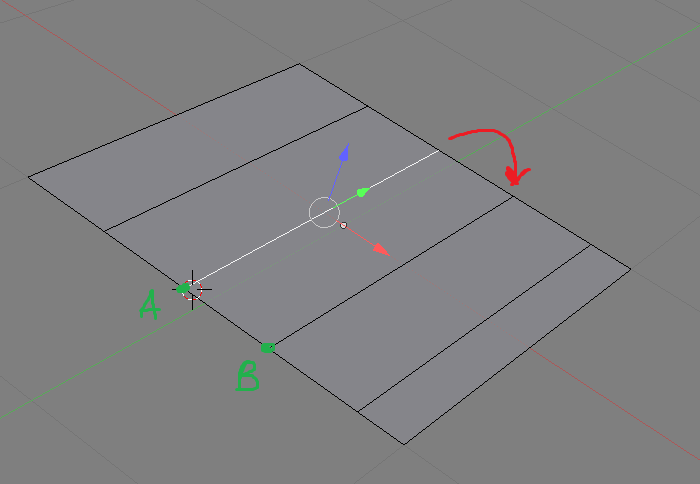 Pls see my attachment , i'm in edit mode and i want to move the selected edge along the red arrow direction so the edges will perfectly snap and overlap to target edge ( vertex A will snap to B). I tried using snap set to vertex and closest and doesn't work. Any idea how to do this ? Here is one way: switch to vertex mode, select the vertex you want to move, and then edge slide (GKEY GKEY) it until it is adjacent to the node. You now have a doubled vertex. Select both vertices and merge them (ALT-M -> merge at center). Alternately you can enable Auto merge before you edge slide. Not the answer you're looking for? Browse other questions tagged editing snapping or ask your own question. How to choose which origin vertex to snap from?